Did you know with fitness boot camp software you will collect more tuition payments when you use automatic processing. Automatically collect payments the way you want them...Credit Cards, EFT/Echecks, it's your choice. Approximately 5 percent of your athletes payments will decline each month due to expired forms of payment. 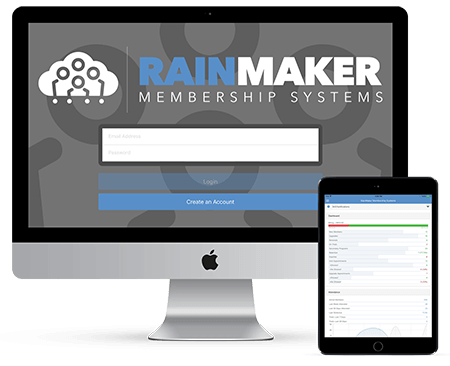 RainMaker can automatically message people 30 days ahead of the expiration and allow them to update their account online. What about past due payments? This cheer gym software will automatically follow-up and process payments past due every 5 days, and it will notify members of declined payments and give them options to update their credit card. This all means, you spend more time running your gym and less time with the busy work. Autoresponders aren't just email. You will enjoy complete follow-up systems that let you use email, text, voice-broadcast, post-cards, and even off-line follow up reminders and tasks. 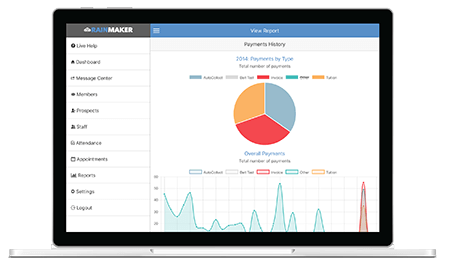 You don't need some other software integration for your email marketing with RainMaker. Everything is built in. You can segment your lists as many ways as you want so that you can follow-up with different types of people and contacts. Schedule one-time emails or send them out immediately. Create autoresponder systems for prospects, members that join specific programs, people that quit and more. Did you know you will collect more tuition payments when you use automatic processing. Automatically collect payments the way you want them...Credit Cards, EFT/Echecks, it's your choice. 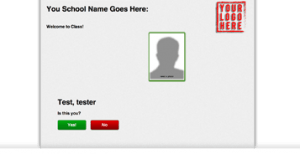 What does marketing and sales automation for Fitness Boot Camps look like? Test out the automatic follow-up process to see it in action and imagine how it can work for your business and make your life easier.